Our technicians are licensed, bonded, insured, and certified to eliminate damages from any home or business and provide you with peace of mind. We take projects from initial damage removal to the final coat of paint, and we are there for our clients at every step in between. 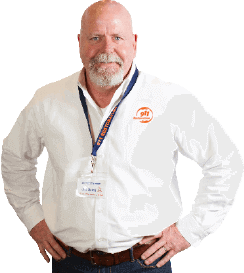 If your home is affected by any sort of disaster, you can trust in our experts to make your home like new again, so call us now! Our expert technicians can remove water from your property as well as the stress that it causes. Even when your water damage originates from water heater failures, pipe bursts, ceiling leaks, severe storms, or even local flooding, we are here for you. 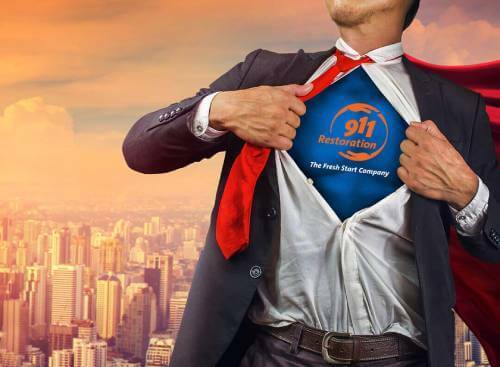 911 Restoration specialists have the skills, expertise, and the training to take on all forms of water damage no matter how hazardous the water. When water infiltrates a property it creates damage through saturation, spreading, splitting and erosion of structural integrity. Our water damage restoration team gets to the scene of the situation, stops the source from spreading more water, and restores the property to normal as quickly as is possible without cutting corners. 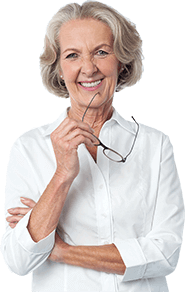 Our technicians are highly dedicated to making these types of situations as easy as possible for our clients, and that is why we will even do the insurance paperwork for people. Whether the challenge is from a pipe burst, water heater malfunction, or even severe storms and mass flooding, our technicians have the equipment, experience, and ethics to handle it all for you. It is imperative for both homes and businesses that damage be taken care of immediately to avoid increased loss as well as the endangerment of those who occupy the space. If your home has recently been through a flood, contact a representative in our 24/7/365 call center for more information and help today! Eliminating the damages of a sewage backup through cleanup operations requires skill, countless hours in the field, and expert training to be handled properly. This is why our technicians with 911 Restoration are licensed, insured, bonded, certified, and prepared for any challenge that arises in your home or business. Sewage backups are ranked based on category, from one being clean water hazards to three which involves deadly pathogens capable of seriously harming human health. Each category of sewage water damage can occur in many different ways, from a toilet overflow to a pipe burst, and from sewage backflow valve failure to septic field drainage malfunction. No matter what the source of the sewage, our cleanup experts are highly proficient in sanitation of the affected area as well as restoring your peace of mind. When a sewage backup scenario takes place, our highly trained and dedicated crews are capable of responding immediately to more than 30 states across the nation. We act swiftly to save your home or business from increased damages due to contaminated water lingering and infiltrating further into your property’s support structure. Contaminated water can be a source for pathogens that may even be deadly if left unchecked and untreated. Our experienced and dedicated staff suggests avoiding contact with any of it, and if ingested, or if it has come into contact with skin, have it examined by a health professional immediately. If you come home to a sewage backup, contact our sewage backup cleanup restoration specialists with 911 Restoration today! Mold typically plagues homes that were subject to recent water damage. When a home floods, it does so in a variety of ways, from the initial damages that the water causes, to the erosion of support structures, and eventually, mold growth. This is why our technicians arrive as quickly as possible with all the tools and techniques needed to give you and your home a Fresh Start with a free visual inspection and professional mold removal. Mold spores, especially black mold, can take hold in any location where there is a minimum amount of moisture and a substrate for them to germinate. This means that virtually any surface that remains wet for too long will be a harbor for mold and fungus contamination. Many people don’t realize that mold spores are actually around them at all times. This is why our technicians bring such sophisticated air scrubbers and dehumidifiers to each job. By utilizing the most advanced technology such as vapor barriers, moisture readers, and even infrared technology, our specialists can find, stop, and destroy mold growth no matter where it is. With these tools, our specialists at 911 Restoration can eliminate not only the mold and fungus growth, but also the possibility of its spreading to other areas of the home or business too. If your home or store is being invaded by black mold spores or fungus of any kind, then contact our experts with 911 Restoration for help today! When it comes to fire and smoke damages for homes and businesses, 911 Restoration’s technicians are experts at both eliminating the fire effects, and the ancillary damages. Fires require our professionals to remove smoke from the vents, odor from the air, and soot from the walls. Most of the time a fire damage situation is localized to a certain section of the home, but because many buildings have air ducts and ventilation systems that run throughout the property, the smoke and soot from a fire event can travel anywhere. When soot and smoke invades the air ducts, even a fire localized to one room can coat the entire home with a layer of potentially harmful dust. This patina may have signatures of everything from irradiated particulate to noxious chemicals that can be cancerous or poisonous if inhaled or ingested. It is crucial that, after a fire, the restoration efforts are handled by highly trained experts. If your home has recently been through a fire, then you need to contact our specialists with 911 Restoration immediately for help. 911 Restoration is prepared to handle all disasters, from mild home anomalies to full-scale natural disasters. When taking on the specific challenges presented during a disaster restoration, the effects can range dramatically depending upon what kind of event took place. Our experienced and certified technicians can handle all varieties of this work, from earthquake aftereffects to the damages caused during a severe storm, hurricane, or fire. Our technicians with 911 Restoration mobilize with all the tools, equipment, supplies, materials, and techniques they need to provide your home or business with immediate assistance no matter what form the disaster takes. Our technicians know how to perform the most sophisticated water extractions, deepest smoke removal, and toughest mold remediation jobs. We are also highly adept at giving fundamental advice to protect houses and businesses against natural disasters in your area. Preventing disasters is far more cost effective than repairing the damages that can result from them, so don’t hesitate to contact our specialists for any advice you need for your home or business. Ultimately when homes and businesses have a full scale disaster situation to deal with, the furniture, office equipment, and personal belongings need to be removed to avoid further damage and contamination. Since a complete restoration takes place all at once, we offer moving and storage options for all types of belongings when these events take place. Additionally, when it comes to a disaster, quick action tends to be the best recourse for preventing small challenges from becoming larger ones. This is why 911 Restoration specialists can be at the scene of any event quickly and with all of the latest technology and tools to handle the project from the outset. It is crucial that our clients feel completely taken care of no matter what kind of scenario takes place. We make sure to always put the customer first for every project that we take on. 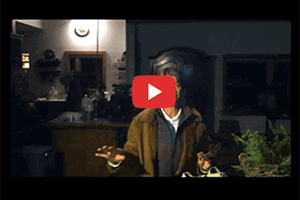 If your home or store is already damaged, and you want these effects eliminated by the best restoration experts in the industry, then contact our staff with 911 Restoration anytime, and let us provide you with a Fresh Start on your property today! "I would give them 6 stars if I could. I had to deal with a flood in my business, an absolute nightmare for every business owner. [911 Restoration] came right away, and they are so professional and efficient. Even after everything was done they followed up and made sure everything was back to normal. A+ customer service. Thank you!" "There are priceless moments in life that I am very grateful and appreciative to have encountered. I feel like my job, as a franchise owner of 911 Restoration is to provide the people in my community with similar moments. When a homeowner opens their front door when a job is done, and their face alights with a smile, I know my job is done. And done well." Want To Hear More About Our Franchise Opportunities?